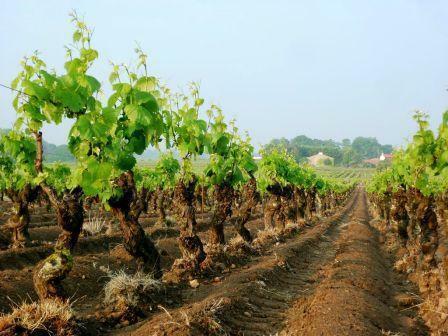 2) Stong belief in the unique terroirs of Muscadet that inspired vinification and bottling based on soil type, as opposed to appellation blends. Thus was born the famed terroir wines from the subsoils of Gneiss, Orthogneiss and Granite. In recent years, the domaine has seen a change of hands since celebrated owner and natural viticulturist Guy Bossard had no heirs interested in taking over the property. The estate is now run by a passionate, wine-loving gentleman named Frederik (Fred) Niger. Fred is a very "hands-on" owner and is dedicated to maintaining the greatness of the estate. To that end, he has retained Bossard as an ongoing consultant to ensure a smooth transition. Like Bossard, Fred is a fanatic in the vineyards, crops extremely low, and makes Muscadets that have remarkable depth, precision and ageability. His passion and connection to the natural world guide his every move in the vineyard and cellar. He is present, observant and mindful, always with the goal of working in tandem with the forces of nature and never against them. In recent years, Fred has embarked on a compelling endeavor to craft a collection of Vin De France varietal wines fermented and aged in a combination of amphora and barrel, and sometimes amphora alone. He is particularly interested in the energy exchange between vessel and wine, and ultimately in how this energy is transmitted to those of us who have the pleasure of experiencing these vibrant, lively, pure expressions of soil and grape." Vinous Media 91"The nose here is understated but appetizingly marine and lemon-zesty. Tangy and piquantly seed-tinged apple is laced with lemon zest on a polished, satisfyingly juicy palate. The sustained finish is bursting with brightness and mouthwateringly laced with mineral salts."